Jan. 28, 2013: Talk about a close shave. 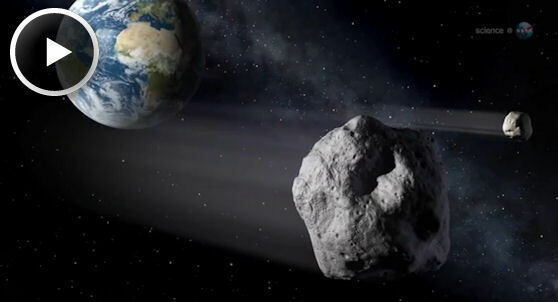 On Feb. 15th an asteroid about half the size of a football field will fly past Earth only 17,200 miles above our planet's surface. 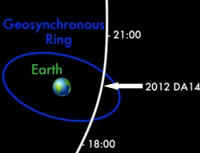 There's no danger of a collision, but the space rock, designated 2012 DA14, has NASA's attention.